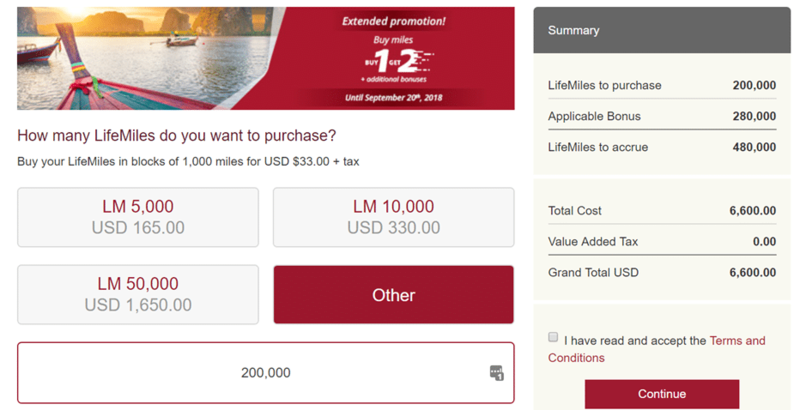 Use LifeMiles to unlock discounted Star Alliance First and Business Class redemptions. LifeMiles is the frequent flyer program of Avianca, a member of Star Alliance. The regular sales held by the program are a great way of picking up discounted First/Business Class tickets for less. To mark Singles Day, LifeMiles is offering up to 140% bonus miles for purchases made between now and Monday, 12 November at 2pm SGT. There is no need to register for this promotion, as you’ll see the sale active once you log into your account and go to the “Buy LifeMiles” section. What can you do with LifeMiles? Well, you can’t transfer them to KrisFlyer, I’ll tell you that much. What you can do is score some pretty lucrative Star Alliance cabin products, like ANA’s excellent First Class or EVA’s also excellent Business. In case you need some ideas of what to do with your LifeMiles, you can check out the award chart here. Here are a few data points and how much each flight would cost, one-way, at 1.375 US cents per mile. There will be additional airport taxes that differ from country to country, but remember that LifeMiles does not charge fuel surcharges. The usual caveats about LifeMiles apply- you can’t use them to book SQ premium cabin space except on short haul flights (that’s the general rule, for a more specific guide please refer to this article) and you will need to call up the call centre to do any modifications or cancellations. Lufthansa also sometimes blocks First Class award space from LifeMiles. Your LifeMiles will remain valid so long as you have at least 1 earning activity every 12 months. This is fairly easy to do now that Mileslife allows you to earn LifeMiles– just use the check-in or Mileslife Health feature to credit a handful of miles now and then to your account and you’re golden. how quickly will the miles be credited please? i tried to buy 101,000 first time, didnt get credit immediately. still havent been credited. I read the max i can buy is 200,000 miles, so i will be charged a max of 200,000 miles? Data point for reference – on my previous purchase of lifemiles in November 2017, the miles posted instantly. For this purchase, I made the purchase at 6.45 pm and no miles appeared. Then got a text message from the bank at 8.45 pm and the miles appeared at around that time. Ps Joseph, hope your miles have posted by now. Do keep us posted. Any particular link I should use to credit this site? Thanks for the thought, but no, LifeMiles does not do affiliate agreements. haha i think that is reserved for people who bring big volume, like hotels or car rental companies. I can find plenty of Tokyo(HND/NRT) to US in ANA 1st class. But once starting from Singapore, no more 1st class. 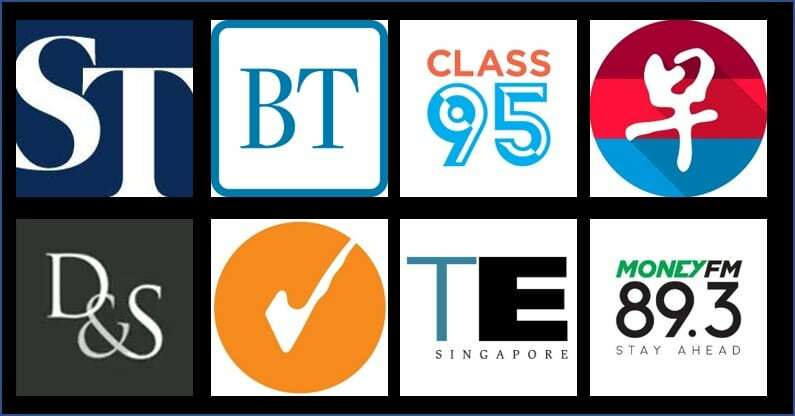 How to redeem ANA 1st class from Singapore to US? the “applicable bonus” is not showing up in the billing summary? i haven’t paid. i just signed up now. does it take awhile to show? I’m not able to find the promotion on their website after logging in? Can anyone confirm they got their miles credited immediately please? hmm it seems more than one person is having this problem. i know a guy at lifemiles, let me reach out to him. Hi Aaron, it seems that this promo is targeted to those who receive the email. Will be great to put that in as the bonus should be reflected immediately in the summary screen instead of being credited at a later date which some readers seem to misunderstand. I personally did not receive the email and am unable to get the bonus despite being a frequent lifemiles purchaser. So it’s not worth purchasing if no promo emails were received? I’m trying to buy the miles but no bonus miles were given – not even the 50% bonus miles. Any idea why? Thanks! No bonus shown for me. YESTERDAY – When I submitted my details to buy the airmiles, the message was to wait and then the miles will be applied. Today, called BOC, they said nothing went on the card yesterday, but other transactions have appeared since. Go back to Lifemiles and submit order again – this time it works immediately, get to a follow page where it concludes the airmiles purchased and airmiles appear immediately. So would you recommend purchasing 101k (even if it doesn’t show the bonus calculated) and waiting for the bonus miles to be credited? if you dont see the bonus you shouldnt buy. For the folks who cannot see the bonus, please check if you have entered your location as Singapore (or anywhere else in Asia) in your profile. I wasn’t able to see if at first, but after entering the location information in the profile, the bonus showed up. hi, has anyone tried to use lifemiles for a SIN-JFK return trip? I am trying to find something for my parents but JFK-SIN shows no available flights, I have tried numerous dates. Is there a blackout on this route?